An MBA is an excellent career move for dozens of reasons, but for those interested in personal finance, an MBAs’ earning potential is most appealing. 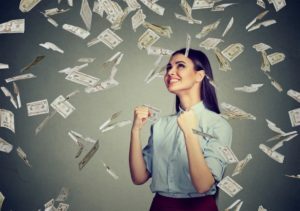 According to the most recent surveys as reported in Financial Times, students can more than double their salaries by earning an MBA, moving from the $70,000-per-year range to the $140,000-per-year range. Even better, salary boosts due to advanced business school credentials like the MBA have only increased in recent years, so investing now is likely to pay even greater rewards in two years, when the program is complete. However, tuitions for MBA programs have also increased over the years. Between 2008 and 2014, the average costs associated with MBAs rose more than 44 percent, thwarting many would-be MBAs from obtaining that coveted earning potential. Not all MBAs are created equal. MBA degrees from different schools carry different costs, and they offer different benefits. Therefore, it is important to research a variety of programs before you apply or enroll – and even before you devise a budget and savings strategy. First, you should understand tuition and fees at various programs. Obviously, the more prestigious the business school is, the higher the costs of earning the degree. For example, the MBA program at Columbia University, the top-rated business school in the country, costs over $168,307 whereas Emory, the 20th best business school in the U.S., costs about $130,280 for two years of study. However, you must then balance these expenses against the average earnings of graduates. Grads from the nation’s top 10 programs earn average salaries of $161,566 whereas the overall average salary for MBAs hovers around $105,146. That’s because hiring managers are more attracted to candidates from well-known, highly respected schools. To best understand what different programs will cost, you should call and talk to admissions representatives at the schools you are interested in. By doing this, not only will you get to know each school’s customer service quality – which should be a major factor in deciding which program you attend – but you might also get the opportunity to haggle down the price. You might also learn about ways business schools help students pay costs, such as on-campus jobs or assistantship positions. If you are less concerned about the reputation of the business school and more focused on learning as much as possible from an affordable program, you might target online MBA options. Most online business schools are digital branches of traditional colleges, so you can be certain they offer high-quality education. Plus, many online programs are much lower cost; you can even find online MBA programs that require no GMAT scores, which reduces the time and cost of admissions. There are many advantages to online education, and affordability is a big one. 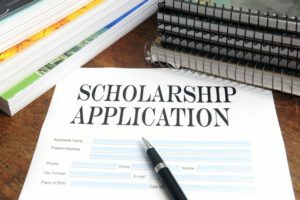 This is the advice given to all pursuers of higher education, and that’s for good reason: There are dozens of scholarships and grants awarded to business school students every year, and you could win more than one of them if you only apply. Usually, the application processes for this type of financial aid are relatively easy, requiring only a resume and a brief essay or two. With enough scholarship money, you can pay for more than just your tuition and fees – you can also buy books, pay for room and board and even save up for the future. You aren’t the only beneficiary of your advanced education; your future employer also stands to gain from your drastically improved knowledge and skill. Fortunately, many companies are recognizing the advantages of a professionally developed workforce and offer education benefits to encourage employees to return to school. Most often, these benefits take the form of tuition reimbursement: You pay your tuition and fees, and your employer will pay you a portion of those expenses in addition to your regular wages. These benefits programs also sometimes require a time commitment to the company, so you might not be able to find a new employer for a few years after you graduate. If your current employer doesn’t offer education benefits, you have two options: request that they start one or find a new employer. Employer financial aid coupled with scholarships and the best possible rates for tuition and fees will give you the education you need for the career (and salary) you want.